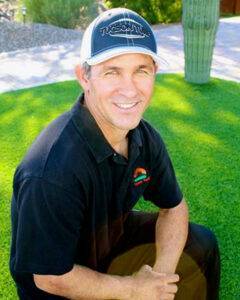 To learn more about our Tucson Turf team members simply click below. Robby is the brother of owner Toby Bourguet and was the first employee back in 2006. He has learned basically every aspect of the project over the years and applies that to each project. When he’s not making yards beautiful he is usually at a sporting event watching or coaching. He has 2 beautiful daughters and loves supporting them in any way he can, especially watching them compete in their sports. 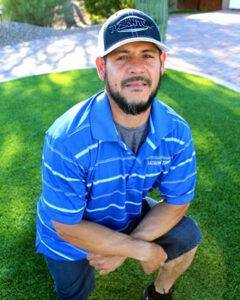 “Robby has seen our company grow from just a couple of us doing yards for mostly friends and family to being the #1 Turf Company in Southern Arizona and he’s been there helping us every step of the way,” says Toby Bourguet. 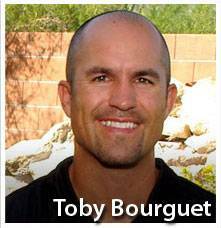 Sean has been an important part of Tucson Turf since the early days and has been best friends with the owner Toby Bourguet since childhood. Sean is happily married to his high-school sweetheart and they have 5 wonderful kids. 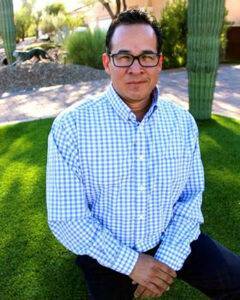 Besides working for Tucson Turf, he stays very involved with his community through coaching and volunteering. He enjoys meeting our customers and making sure they have the best experience possible with their projects. “We couldn’t ask for a better person to be on every job taking care of people. Sean is a genuinely nice person and we’re blessed to have him on our team,” says owner Toby Bourguet. This is the type of guy you love having on your team. He brings an excitement to every project. His ability to envision what the customer wants and deliver on that vision is amazing. 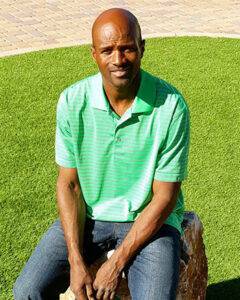 Romy enjoys spending time with his wife and kids when he’s not at work and is also into personal fitness. Bourguet adds, “When Romy came onto our team he was an instant game-changer. Not only is he truly an artist but his attitude is contagious and he has helped our team become a better team.” You can find Romy on the ground making precision cuts in yards that very few people can in the industry.